Known across the Tea World as "The Champagne of Tea," the town of Darjeeling lies in the Himalayan foothills of the northern Indian state of West Bengal and is the namesake of all the tea grown in the area. 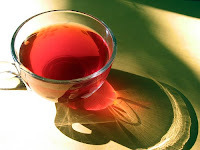 Teas from the Darjeeling district are unique in flavor and processing because they are derived from Chinese tea plant varietals (and later, hybrids) that were first planted there at the behest of the British in the mid-19th century. We keep both of our selections on a rotating basis to ensure freshness and quality, so be sure to ask about the estate origin of either tea. Namring Summer Flush Darjeeling – Our House Darjeeling from the Namring Estate displays a full-bodied yet mild flavor while retaining the classic crisp flavor associated with Darjeeling, offering notes of citrus, spice and earth. Perfect in the morning or afternoon, this tea can stand up to milk or sugar, but we recommend first trying it on its own to fully appreciate its quality and complexity. House Spring Flush Darjeeling – First (or Spring) Flush Darjeelings are some of the most elegant and exciting teas in the world -- there simply is nothing else like them. The diversity of flavor found in First Flush Darjeelings is most impressive, but they are routinely revered for their floral, vegetal and muscatel grape flavor profiles. This bouquet of flavors holds true to its origins of a pristine Himalayan tea garden, yet also evokes memories of the forest on a glittering spring day. Like a fine wine, this tea should always be savored on its own.